"Willow knows she s different from other girls. And not just because she loves tinkering around with cars. Willow has a gift. She can look into peoples futures, know their dreams, their hopes and their regrets, just by touching them. She has no idea where she gets this power from... But Alex does. Gorgeous, mysterious Alex knows Willows secret and is on a mission to stop her. The dark forces within Willow make her dangerous and irresistible. In spite of himself, Alex finds he is falling in love with his sworn enemy." I've had my copy of this just over a year now. I bought it as Lee was doing a signing at a Twilight convention I was attending and would never pass up the opportunity to meet the authors of books. I have to admit though that I didn't really feel an overwhelming urge to read the book. I really think that was down to the UK cover that just doesn't do it for me. The girl looks somewhat freaky and the colours just don't work for me. Having now read the book, I so regret judging this book by its cover - I so enjoyed it!!! The star of the book is a girl named Willow. She is basically the girl I wish I could have been growing up. She is so comfortable in her own skin. She wears what she wants and is exactly the person she is. What a fantastic role model for all girls out there!! 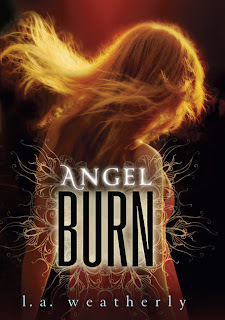 This story is very different to any Angel based story I have ever read before. 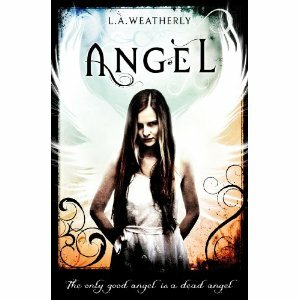 This was totally refreshing and opened my eyes to a completely different way of seeing how angels could be perceived. You get to read this story from the perspectives of different people on different sides of this big battle, which again is amazing. You can see every one's point of view and has you at times wanting to shout out the actual truths over what people think. I found this really emphasised the story and didn't break any mystery or suspense. 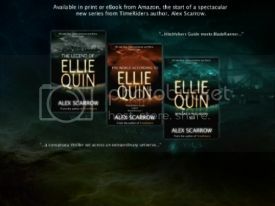 Our two main characters are Willow and Alex. They are both some what dysfunctional and have what would be considered strange upbringings. Yet they are thrown together through apposing factors and yet find this heartwarming common ground and understanding. Its truly wonderful. The story lost pace for me a little in the middle, but got back on track for the end. There is quite a time constraining passage in the book which had me imagining the movie of this book, with an epic romantic rock song playing over the top. It made me quite excited!! !